a,b) - Change of the particle density in our simulation system. 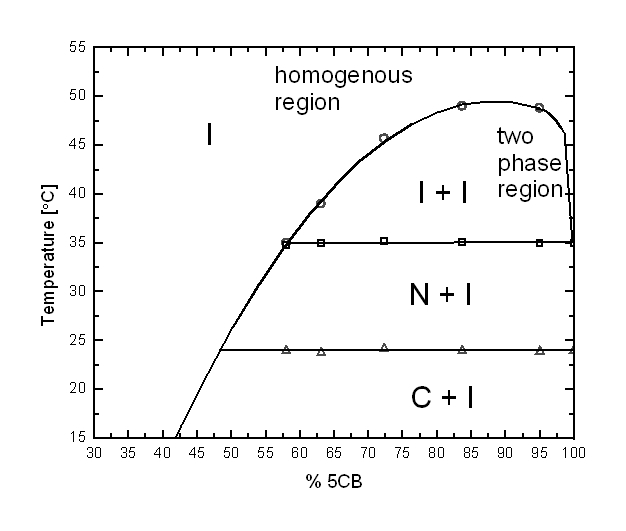 c) - Phase diagram of PS (Mw ) 74500 g/mol)/5CB: temperature versus the concentration of 5CB. 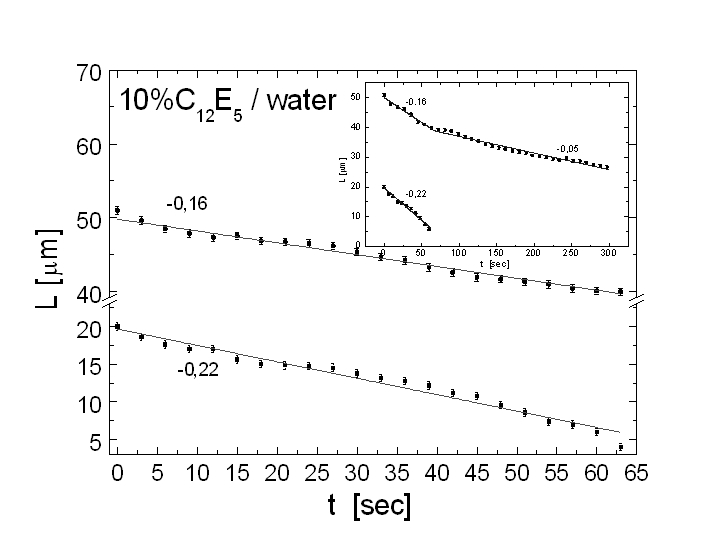 d) - Time evolution of the domain’s size (for twodomains) in the binary 10% C12E5/water mixture.